I’ll be honest: I simply don’t understand the bull case for Coca-Cola (NYSE:KO). The KO stock price has held up reasonably well in recent years, admittedly. But Coca-Cola stock isn’t cheap. There are obvious risks to demand going forward. Add on disappointing growth, and the numbers here don’t seem to add up. I concede that I’ve long been a skeptic toward KO stock. I called it “expensive” 20 months ago at roughly the same price, and it’s at least held up. On this site, Luke Lango made a “buy the dip” case last month; a few days later, Josh Enomoto highlighted the company’s opportunity in China. With all due respect, I disagree. The issue from here is that many investors are valuing Coca-Cola for what it was: a wonderful business that produced steady growth and lockstep increases in its dividend. Coca-Cola stock famously has made billions of dollars for Warren Buffett and Berkshire Hathaway (NYSE:BRK.A, NYSE:BRK.B). It’s also been a great long-term investment for the rest of us. But times change. And those changes have notably shifted the investment case here. At this point, it seems increasingly difficult to make the fundamental case for Coca-Cola stock. A multi-year transformation — including a “refranchising” of its bottling operations — has hit revenue in recent years, but it was supposed to create a leaner, more profitable company. That’s a key reason why the KO stock price fell over 8% after disappointing earnings last month — a huge move for a typically low-volatility stock. Guidance for 2019 was much weaker than expected. Coca-Cola expects earnings growth of -1% to 1% against 2018’s $2.08. Investors were hoping for much more after the refranchising. The problem goes beyond results for a single year, however, as 2019 guidance implies EPS of $2.06 to $2.10. In 2013, Coca-Cola’s non-GAAP EPS was $2.08. Over six years, including a massive transformation, earnings per share will barely move, if at all. Coca-Cola stock, like so many other U.S.-based investments, has benefited from a lower tax rate. The underlying (i.e., adjusted) tax rate in 2013 was 23%. It’s estimated to be 19.5% in 2019. That lower rate provides a 4.5% benefit to net earnings. Billions of dollars in share buybacks boost EPS as well. Considering this, Coca-Cola has 4.5% fewer shares outstanding than it did in 2013. In other words, KO is making less pre-tax profit than it did six years ago (the figure has declined about 8.7% by my math). And yet, Coca-Cola stock trades for 22x the midpoint of 2019 EPS guidance. That multiple seems incompatible with the performance over the past few years. To be fair, a stronger dollar has been an issue, hitting revenues and profits overseas. Coca-Cola is projecting a significant currency headwind, with 6% to 7% impact on operating income in 2019 alone. This comes after a 4% hit in 2018. Essentially, much of the potential benefit of the refranchising has been swallowed by currency effects. That said, it’s not as if the dollar is guaranteed to get weaker going forward. KO stock still looks reasonably expensive against even currency-neutral growth. Meanwhile, risks are rising. Soda consumption continues to decline in the U.S., dropping by 20%-plus over two decades according to one report. Coca-Cola has tried to diversify, acquiring Costa Coffee and sparkling water manufacturer Topo Chico last year. But a $5 billion coffee deal — let alone a $220 million bottled water purchase — doesn’t move the needle much against a $200 billion market cap. The trend here is consistently negative, particularly in terms of diet soda. Sparkling waters from Nestle (OTCMKTS:NSRGY), National Beverage (NASDAQ:FIZZ) (even with some recent trouble), and private companies like Polar and Spindrift are taking share from diet soda. Neither Coke with its Dasani brand, nor Pepsi (NASDAQ:PEP) with its Aquafina, have been able to win much in that market. Meanwhile, HSBC Securities highlighted an interesting stumbling block for Coca-Cola’s plans for expansion. 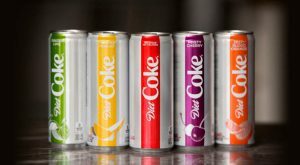 Coca-Cola has looked to new extensions, including flavored Diet Coke and an orange-vanilla offering for its full-calorie brand. But, as HSBC pointed out, those efforts are likely to upset the same bottlers who have taken over Coke’s operations. Smaller products have high startup costs, as well as long payback periods. Coke’s refranchising may slow it from following the brand expansion strategy that’s currently popular among consumer companies. It’s a bit analogous to the risk facing Coke customers McDonald’s (NYSE:MCD) and Restaurant Brands International (NYSE:QSR). Those companies have shifted costs to their franchisees too. However, those franchisees may rebel as their parents look to compete solely on price or otherwise push the limits of their profitability. From here, zero growth isn’t worth the risks facing the industry. As such, KO stock looks far too expensive. I asked last year if Coca-Cola might be the next giant to stumble after consumer heavyweights Anheuser-Busch InBev (NYSE:BUD), Kraft Heinz (NASDAQ:KHC), and Altria (NYSE:MO) saw big declines. It hasn’t happened yet, even with the post-Q4 selloff. But I wouldn’t be shocked if it did. In fact, I’d be less surprised if KO stock fell sharply than if Coca-Cola somehow figured out how to grow in an industry destined for long-term declines. Article printed from InvestorPlace Media, https://investorplace.com/2019/03/coca-cola-stock-ko-stock-price-too-expensive/.